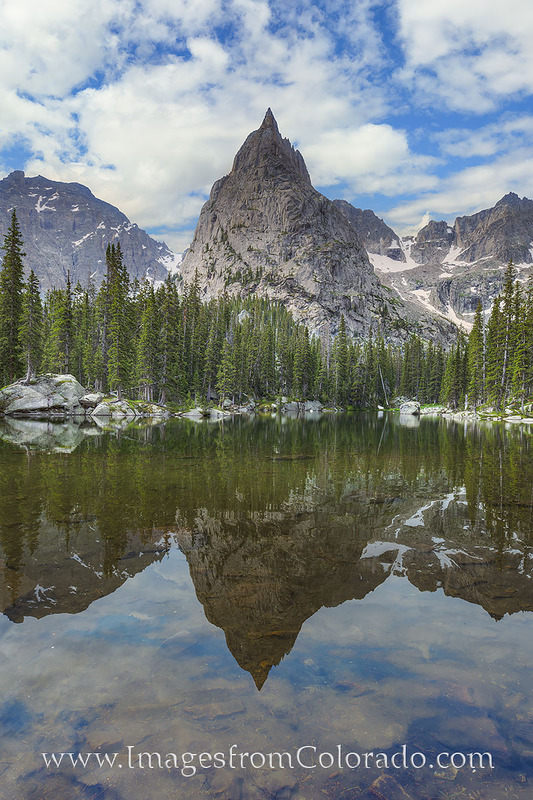 Lone Eagle Peak rises above Mirror Lake in the Indian Peaks Wildnerness on a perfect summer afternoon. This beautiful landscape in Grand County is seldom seen because of its distance from any roads. Rising to just under 12,000', to gain the summit of this peak requires Class 4 or 5 climbing, but if you makie it intact to the peak, the effort provides commanding views of the surrounding mountains. To reach this point and return, the hike is ~ a 16 mile round trip. Photo © copyright by Rob Greebon.